By Antonio Santiago, Doghouse Boxing. Many of the people who read me here are also my friends on Facebook. Some of you and I talk more, others and me talk less. One person who I have been talking to a lot lately, is the great Argentine fighter-and greater even friend-former WBA Lightweight Champion of the world, Raul Horacio Balbi. Balbi has paid his dues in boxing, beating Gustavo Cuello, Rene Collado, Simon Canache, Wilfredo Vilches, Alberto Sicurella, Julien Lorcy and Diego Ponce, among others. He has fought in Panama, Bolivia, France, Brazil, Finland and the United States besides his home country of Argentina in the past. In fact, his fight in France was his title winning performance when he beat Lorcy by majority decision to become the WBA Lightweight world champion, earning the belt that had belonged to Brown, Buchanan, Duran, Mancini, Rosario and Chavez in the past, and his fight in the States was an extremely close decision loss to Leonard Dorin that was broadcast live on HBO Boxing. He is a fighter of honor and one who does not let anyone else down. Balbi has told me that things have not gone well economically outside of the ring and he is looking for a fight. Imagine how desperate he must be, when I approached him as a fan and he asked me, a fan, to help him get a fight. It is a honor to me, Antonio Santiago, that he did, but at the same time I have taken his case and am trying to help him. For one reason or another, God knows why, I always get a no, or simply I get no responses at all. Balbi found out that there was going to be a show in California on September 27, featuring an undefeated Japanese Welterweight, Yoshihiro Kamegai, and former WBA world Junior Lightweight champion Jorge Linares, making his debut as a Lightweight. Seeing as those fighters had no opponent scheduled, he told me he’d fight any of them two, and I e-mailed the California state Boxing Commission, telling them a former world Junior Welterweight champion would be willing to fight. Instead of even just answering my e-mail, the commission just decided to bring in Antonio Pitalua and Hector Velazquez in as opponents, respectively, and we did not even receive a courtesy letter saying no to us. Looking around, I see that on September 29th at Washington, D.C., there is a card featuring undefeated Welterweight Dusty Harrison at the 6 round main event. But he has no opponent so far. Balbi would more than love to fight Harrison. 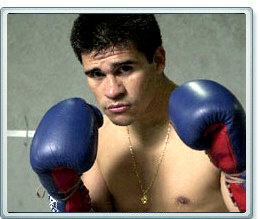 Raul Balbi’s record is 55-11-2, 38 knockout wins. He last fought May 28, 2010, getting a draw against undefeated Franklin Mamani in Bolivia. He is so willing to fight anyone and anywhere, that he even asked me if I had contacts in Puerto Rico to have him fight there, even-in his own words-if the opponent was Miguel Cotto. Balbi has given boxing more than just a lot. He just asks for one more chance to get his finances back on track. He deserves that chance. So if any readers out there are promoters, commissioners or matchmakers, would you please contact me at TJ69662094@aol.com? We need your help at this time. That’s why I wrote this in bold, hoping that someone who can help him and needs a fighter in the 135-147 pound division for a fight, will read this and get in contact with us. I want to dedicate this note to my cousin Miguel’s son, Cristian Pineiro, who passed away after a long disease. He was one and a half years old. A few articles back, I asked you to pray for him and I want to thank those who did. Cristian is now happy next to our Lord. Please send all Questions and comments to Antonio at TJ69662094@aol.com.